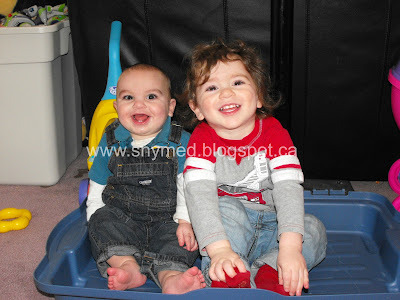 Fisher-Price NEW Laugh & Learn Website + Best Little Laugh CONTEST! When I think of what has made my kids laugh when they were babies, it was always the simple things: bathtime in the tub, playtime with their toys, or funtime with their siblings, mom and dad. Hearing those laughs always filled me with joy and made me feel privileged to have shared in such a golden moment. 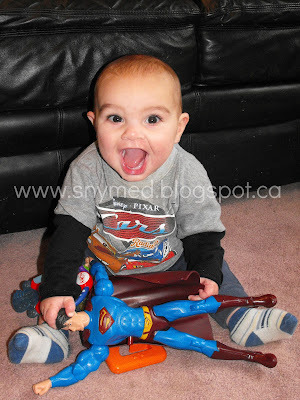 It is in this spirit that Fisher-Price has launched their new Fisher-Price Laugh & Learn website! The Fisher-Price Laugh & Learn website is an exciting place filled with fun games, activities, music and learning apps, webisodes, great Laugh & Learn characters, and the latest Laugh & Learn news! It's a happy and lively place to explore with your little one! My formula to induce unroarious laughter with my kids is to play hide and go seek with them, "pretend" to tickle them, or to play tag with them. In a game of chase, if I pretend the "tickle monster" is after them, the kids are in hysterics and sometimes drop to the ground because they're laughing so hard! As the weather becomes warmer, the kids love putting on their swimsuits in the backyard and beg me to squirt them with the garden hose or sprinkler! I have to tell them to keep the noise down because of the neighbours! Would you like to WIN 1 of 8 weekly Laugh & Learn toy prize packs, including a $100 gas card? 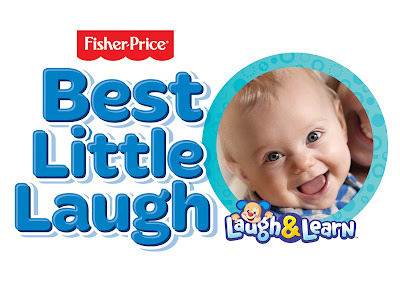 Submit your little one's "Best Little Laugh" in the Fisher-Price Best Little Laugh contest to enter! Contest open to Canada, excluding Quebec, and runs until July 15, 2013! See contest rules and regulations. What makes your child or grandchild laugh the hardest? At what age did he or she first smile? Your little ones are just adorable! Will definitely check out the contest and let my mommy friends know on Facebook. I've been loving Fisher Price since my little two were crawling around the house, their toys are all fun, built to last and have made great impressions with my little kiddos. Thanks Just Us Girls! I totally agree with you about the Fisher Price toys and remember playing with them when I was a child. Oh I love your little one's big giant smile! Adorable. The first giggles are some of my favorite memories of the girls. Thanks Lori! I always loved my kids' very first giggles! Aww, love those big smiles! There's nothing better than capturing those giggles! Thanks Kathryn! I sure wish I had had a digicam with my oldest child. OMG, I just melted. :) Your littles are adorb! :) This sounds like an awesome contest. :) Thanks for sharing. Shared this with my readers and social networks. 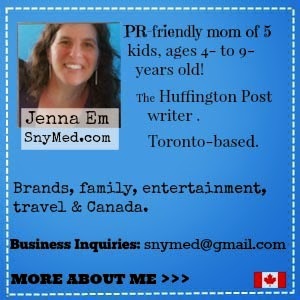 Omg your kids are cute enough to eat - what does that mean really? I really won't eat them but my gosh bundles of pure joy! Love fisher price! I love how their toys are age appropriate and teach children something instead of just being a toy.